October 29, 2017 at 12:05a.m. 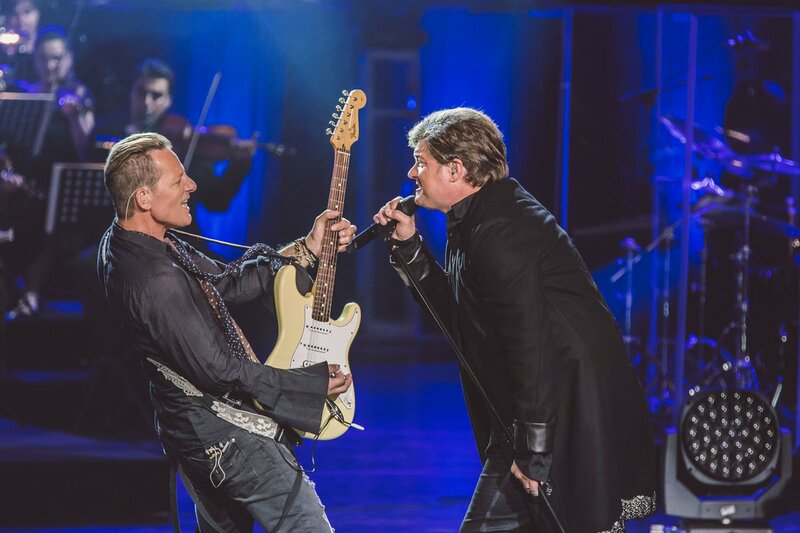 “Rocktopia,” the classical music-meets-classic-rock show that premiered in Youngstown, is heading to Broadway. The show was co-created by Randall Craig Fleischer ,Youngstown Symphony Orchestra music director, and Rob Evan of Trans-Siberian Orchestra. It was first performed by the YSO at Powers Auditorium in 2012. “Rocktopia” mounted a tour this year that played in more than 20 U.S. cities. Its next stop will be the Broadway Theatre in New York, where it will begin a six-week run March 20. There will be nine performances a week at the Broadway. Tickets go on sale Nov. 13 at 10 a.m. via Telecharge.com. Fleischer will conduct “Rocktopia” for the first two weeks before his prior commitments pull him away, but he plans to return several times during the run. In a phone interview last week, he said he was excited by how far his project has come and what its future may hold. The Broadway stint was the next logical step for ‘Rocktopia,’” said Fleischer. He described its evolution from the start. Fleischer hopes the show is such a success that it moves to another Broadway theater after its initial run is up. But he and the executive team are already thinking beyond that. First up would be another tour, and then, hopefully, a residency in another city. Still, “Rocktopia” was built for the road, and it’s relatively easy to take it on tour. The entire show can be packed up into two buses and a tractor-trailer, with additional musicians and choirs picked up in each city where it plays. The cast of vocalists consists of Evan, who has also appeared in “Les Miserables” and “Jekyll and Hyde” on Broadway; Chloe Lowery (Yanni vocalist); Tony Vincent (“American Idiot” and “RENT”); Kimberly Nichole (NBC’s “The Voice”); and Alyson Cambridge (“The Merry Widow” opera at the Metropolitan). The singers are backed by a five-piece rock band that includes Celtic Woman violinist Mairead Nesbitt, a symphonic orchestra of 20 musicians and a 40-person chorus. The show weaves together music by composers Mozart, Handel, Tchaikovsky, Beethoven, Rachmaninoff and Copland, as well as rock bands Journey, U2, Heart, Foreigner, Queen, Pink Floyd, the Who and others. While “Rocktopia” is reminiscent of Trans-Siberian Orchestra, it is substantially different. For one thing, the rock songs are covers of classic hits, and not originals. There is also much more of an emphasis on the orchestra. TSO has a string section on stage, but it performs its classical interludes with electric guitars and an electric violin. While “Rocktopia” uses high-definition screens and a light show to punch up its performance, it does not go to the over-the-top extremes of TSO, which employs flame cannons elaborate stage lifts and other special effects. Also, “Rocktopia” is not specific to any time of the year, whereas TSO only tours during the holiday season. Fleischer is optimistic his show can follow a similar trajectory as the TSO juggernaut, as long as it keeps pounding the stages. “For its first five or 10 years, nobody knew what Trans-Siberian Orchestra was,” he pointed out. Like TSO, “Rocktopia” generates strong word-of-mouth, said Fleischer. June 12, 2018 11:14 a.m.